*This post is part of a weekly feature that will include a short recap, highlights and stats of the last time the New England Patriots played their upcoming opponent. It’s been quite a while since the New England Patriots and the Detroit Lions faced off in a regular season matchup. The last time the two teams met was on Nov. 23, 2014 when the Lions came to Gillette Stadium and fell to the Patriots 34-9. 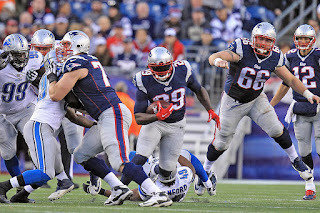 This win over the Lions marked the Patriots seventh straight win that season. Brady threw for 349 yards and two touchdowns, 14 years after his professional debut that resulted in another 34-9 game; except in that game in 2000, the Lions came out on top. New England will be facing two very familiar faces when they travel to Detroit. The Patriots’ former defensive coordinator, Matt Patricia, is now the head coach of the Lions, while running back LeGarrette Blount spent four previous seasons of his career in New England. Tom Brady was 38-of-53 for 349 yards, two touchdowns and one interception, while Matt Stafford was 18-of-46 for 264 yards and one pick. 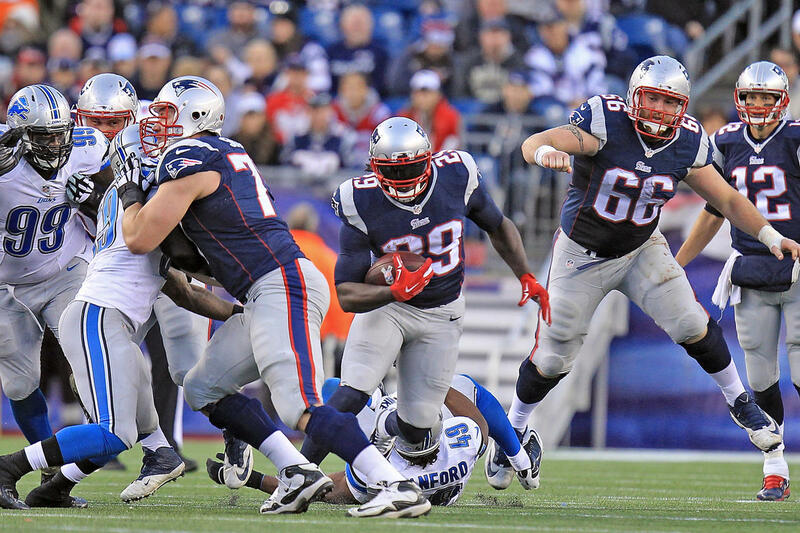 LeGarrette Blount led the way for his former team, carrying the ball 12 times for 78 yards and two touchdowns. For Detroit, Joique Bell rushed 19 times for 48 yards. Brandon LaFell and Julian Edelman led the way for New England on the receiving side. 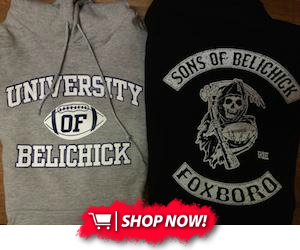 LaFell caught nine receptions for 98 yards, while Edelman had 11 receptions for 89 yards. Tim Wright caught five passes for 36 yards and two scores. On the Lions’ receiving efforts, Golden Tate led the way with four receptions, 97 yards and a long of 42. Dont’a Hightower and Devin McCourty led New England’s defense with eight and seven total tackles, respectively; while Akeem Ayers and Rob Ninkovich notched the two sacks on the day. Detroit’s defense was led by DeAndre Levy and James Ihedigbo who recorded ten and nine total tackles, respectively. Danny Amendola had an explosive, 81-yard kick return in the game as well. New England will travel to Detroit for a Sunday Night Football game against the Lions. Game time is set for 8:20pm from Ford Field.